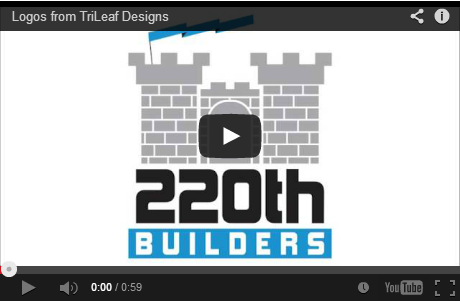 At TriLeaf Designs we turn your vision into a reality. Our talented Design, Web, and Marketing teams work with you to develop a company image that represents both you and your business. Our nurturing, but at the same time no-nonsense nature is exactly what you need to take your business to the next level. 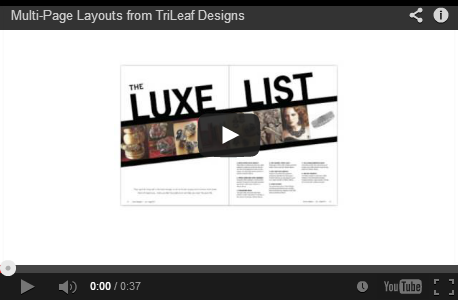 At TriLeaf Designs we work with all types and all budgets to create custom marketing plans. We are here for the long haul, not just one project. Our goal is to grow with you while setting you apart, improving your visibility, and overall reach. Whether you need an amazing creative design or just an idea on where to go next, we got you covered. At TriLeaf Designs we truly care about you and take the time to complete a comprehensive review of your marketing concerns. During the brainstorming session we provide an external perspective and deliver "out of the box" solutions. In addition, we feel there should be a reason for everything you do and it is important to make the most of your resources. If there is a more cost effective way to accomplish your goals we will suggest it, saving you both time and money. We purposely seek out amazing clients with whom we can cultivate a long-term relationship with while making a difference in their lives. To us that is more important than any project. 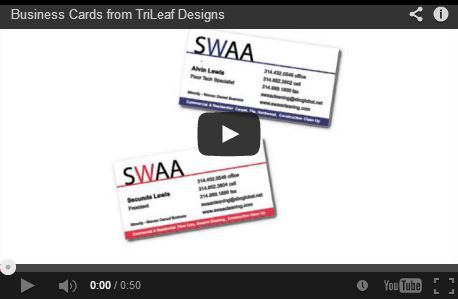 At TriLeaf Designs we truly care about you, your company, and the places we all call home. 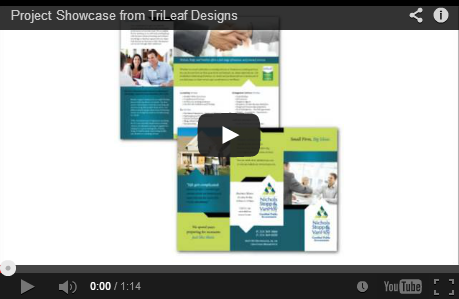 TriLeaf Designs is a full service ad agency geared toward the small business owner. We are unlike any other agency. We go above and beyond to set you apart, build your business, and grow with you. To have a great brand identity and marketing plan, you do not need a large team, just TriLeaf. Our vision is to partner with small business owners who deserve the dedicated, compassionate, positive experts they mistakenly believe they cannot afford. At TriLeaf Designs we aim to breath energy into the mission and purpose of your company along with expanding your customer base, strengthening your brand identity, and increasing your overall business growth. Making your business shine to your clients is what makes us shine. Seeing your business succeed will not only put a smile on your face but it will help you sustain your true passion. In the office, we foster an environment of innovation, inspiration and empowerment for our associates and their families, allowing their dreams to take flight and come to fruition. Business owners who have just started their company or those looking to take their business to the next level come most naturally to us. We evaluate their goals and help create a plan to accomplish them. Our best clients are successful, driven and positive individuals who are passionate about what they do. They have multiple goals for their business, are ready to take action and want a relationship, not just a project. Most importantly they value our unique personalized approach. At TriLeaf Designs we take pride in the fact that we positively impact businesses and make a difference in the business owner's life. TriLeaf Designs is open Monday-Friday 8am-4pm by appointment. Our next Holiday closing will be Friday, November 1st as the staff recovers from Tricks n' Treats! Dedicated individuals looking for great real-world experience are invited to get info about becoming part of the team through our intern program. 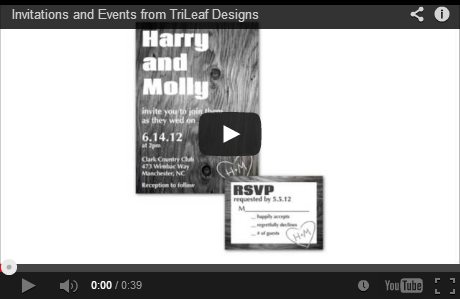 Check out upcoming TriLeaf events on Eventbrite! Branch Out! with TriLeaf's Third Thursday Networking Event! We are excited to invite you to TriLeaf's Third Thursday Networking Event! Enjoy a few appetizers and meet some amazing people. Make sure to bring plenty of business cards. TriLeaf is hosting several sessions of Facebook classes ranging from beginner-intermediate. Check out the Eventbrite page for dates/times! We are proud to offer upcoming sessions for business professionals interested in taking their marketing to the next level through social media! Again, more info is available on Eventbrite. 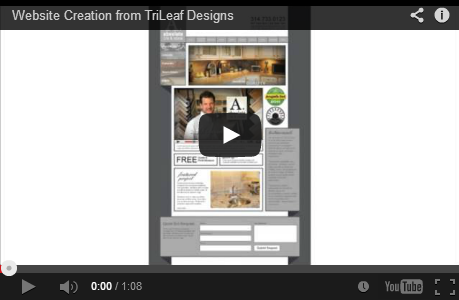 Stay up to date with TriLeaf Designs' and be our friend on Facebook! 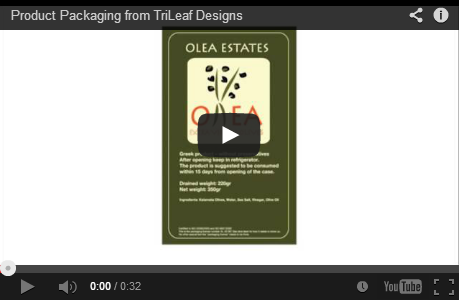 Check out TriLeaf Designs' Latest Videos!